The following files provide teacher professional development resources to fully utilize the weekly cases. Weekly cases may be used to support in class discussions where students identify and apply core values in the analysis of a current event or story in the media. In addition, with support of the resources here, teachers may recognize how the discussion strategy can be applied to relevant lessons in history, literature, health and ethics classes. Finally, cases can be used to support the broader goal of student ethical functioning. SEE uses an adaptation of James Rest's Four Component Model to support student ethical functioning. 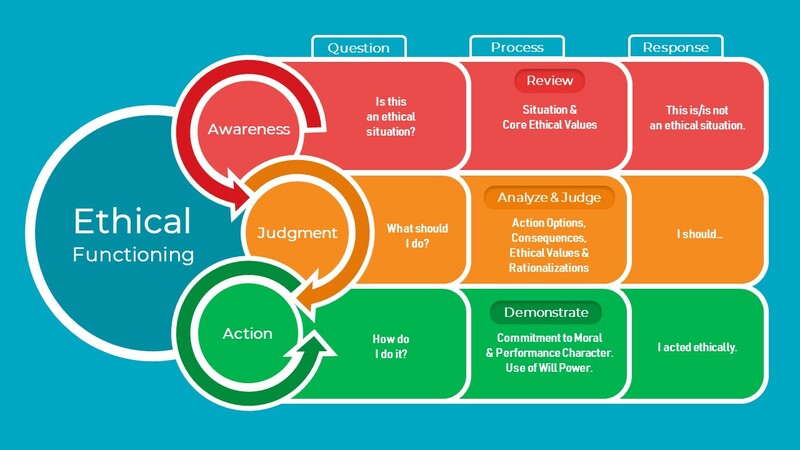 Learn More-​ The Achieving with Integrity Seminar Teachers are invited to use the Reasoning with Ethics cases and apply SEE's Tri-Factor Model that supports student ethical awareness, judgement and action to demonstrate positive character.